Born in Ulan-Ude, Russia (in Siberia on Lake Baikal) and raised in Ulan-Ude, Tashkent, Ulyanovsk and Moscow, Elena Akoulova completed her degree online while in Marietta, Georgia. 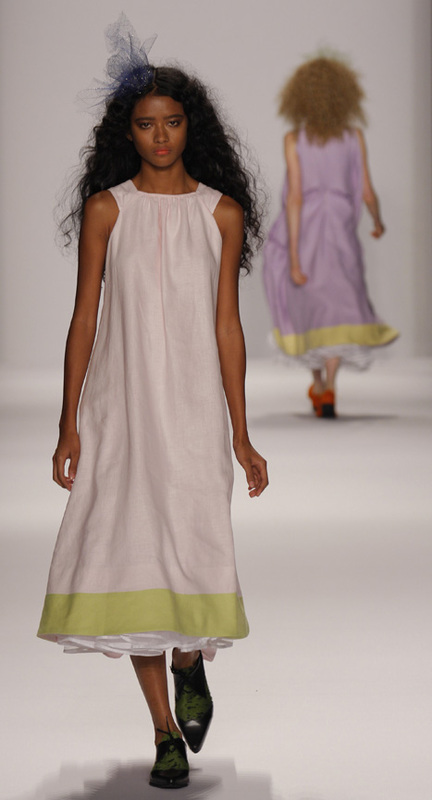 She has created a womenswear collection of simple A-line linen dresses with draping techniques and colors inspired by orchids. Elena decided to present her thesis in person with her collection before the review committee in San Francisco and afterwards was told she had been selected to show during NY fashion week. She plans to go into production with her RTW line here in the U.S.